HLSR readers may recall that in an earlier post we discussed the evolution of the Occupy Movement and some of the causes which seem to have a nexus to the movement. Hydraulic fracking, which as most have heard is a drilling technique involving the fracturing of deep underground rock to release oil and gas resources, continues to rise to the surface like fracked gas. Those opposed to the technique contend that fracking has a deleterious impact on underground water resources and causes pollution. Oil and gas advocates say that the technique has been in use for decades without any proven harm. Whatever the case, Occupy movements are seizing upon the controversy to rally against corporate interests and further their cause(s). 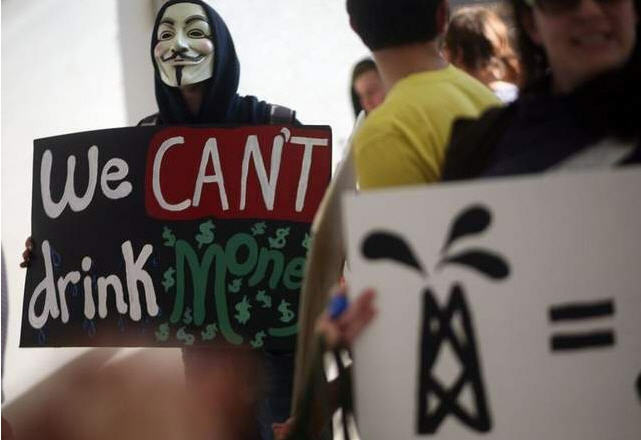 Several individuals associated with the Occupy Movement in Michigan turned out with anti-fracking rallyers for a protest against an auction staged by the State of Michigan on Tuesday. The state auctioned leases for oil and gas extraction to raise money for parks and recreation projects, but it wasn’t easy. Protestors wielded signs, bucket-drums and noisy penny-filled water bottles to disrupt the proceedings. Security and law enforcement officers from state and local agencies responded to the disturbance to maintain building access and safety. Several individuals were removed from the public meeting by authorities and one arrest was reported. The incident made news, spawning a Detroit Free Press article and some news and blog coverage, and some YouTube videos. Keep an eye on message boards where agencies announce public meetings. Stay informed of issues that are contentious and look for meetings that may attract protest activity. Cultivate relationships with departmental officials in controversial government programs and encourage them to inform security of events that may attract protests. Coordinate with local law enforcement agencies ahead of controversial meetings and keep first responders informed of the potential for civil disturbances. Communicate with building tenants about what to expect before, during and after public meetings that may attract protests. Have a plan for maintaining emergency egress and ingress at buildings where protests occur. 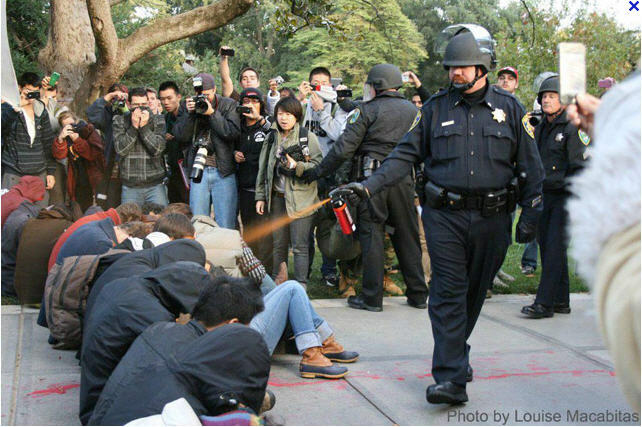 Review the Department of Justice’s Law Enforcement Guide for First Amendment Protected Events and discuss with response teams. Set boundaries of acceptable and unacceptable activities and clearly communicate those to protest coordinators and protestors as necessary. Know and understand the laws associated with trespass and civil disturbance ordinances that apply to your jurisdiction. Inform your Public Information Officers of the potential for media coverage of protest events and have a plan for what to tell the media. Have this plan endorsed by the agency in charge of the event with which the protest is associated. And don’t assume the worst – most Occupy and other protestors want to send a message and are not there to hurt anyone, or damage property. Deal with the criminals, but don’t criminalize the entire activity. Your boss and your agency DO NOT want you to be this guy. Your last paragraph is a critical point and what was done with the Occupy group in Lansing as well as most demonstrations at our Capitol Building. While the initial meeting with some of the Occupy demonstrators (pre-demonstration) was uncomfortable for all as well as LE not being welcomed by some at the meeting (LE was not invited), the majority of people were glad the LE agencies reached out prior to the event. We discussed “the rules” and all went very well.